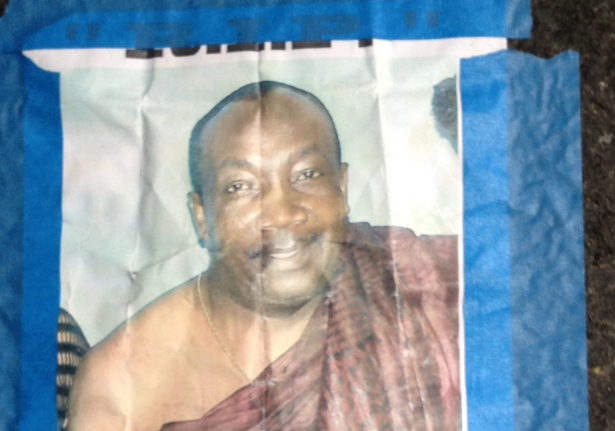 Anthony Nahr, a Ghanaian immigrant, died in a garage adjoining a celebrity-filled luxury apartment building in Tribeca. Sometime during the mid-afternoon hours of October 29, as Superstorm Sandy was heaving up the East Coast, Anthony Narh, a Ghanaian immigrant, limped toward his job at Empire Parking, an underground garage serving one of the toniest strips of one of Manhattan’s toniest neighborhoods. Nestled near the watery edge of TriBeCa, Empire Parking was smack in the center of an evacuation zone—and Sandy was heading straight for it. When the Hudson River burst its banks several hours later, the water raced toward the garage and trapped Narh inside. He never made it out. When Hurricane Sandy smacked into New York City, it struck one of the most economically divided cities in the country, and the story of the storm is as much a story of inequality as it is of weather. But few stories are shaping up to be as stomach-churning as Narh’s. Meryl Streep lives in the apartment building adjoining the garage. So does Gwyneth Paltrow and the model Karolina Kurkova. “What appalls me about this story is here is a building with one of the world greatest actresses and a poor Ghanaian man dead in our garage, and no one is reporting on it,” said Ratia’s aunt, Anne Templeton. Though many of the details of Narh’s death remain vague, serious questions are beginning to emerge around why a man was required to work (or believed he was required to work) in the middle of an evacuation zone as a deadly hurricane bore down on his city. Here is what is known. On October 28, more than a day before Sandy struck, New York Mayor Michael Bloomberg ordered a mandatory evacuation of all low-lying areas, including the western fringe of TriBeCa. By noon the day of the storm, the superintendent of the adjoining apartment building, 92 Laight Street, had issued an evacuation warning to all parties. But the garage remained open. A source, who declined to be identified, spoke with the person who was managing the garage on site that day. The manager explained to this source that Empire Parking wanted attendants to remain behind to watch over the cars. “I told him, look, you should really send everybody home,” said the source. “He said, look at the garage, there are still cars here.” The source estimated that there were still twenty to thirty cars in the garage. But for many people, including Ratia and Templeton, who were among the last to speak with Narh before he died, the story won’t go away. “I was one of the last people to tell him to get the hell out of here,” Templeton said. She can’t understand why he and a second attendant, who ultimately managed to escape the rising waters, were working that day. Two weeks after the hurricane, on a strangely spring-like Monday morning, the garage where Narh drowned remained dark, its electricity snuffed out by Sandy’s wet kiss. A lone picture of Narh had been taped near the entrance, revealing a middle-aged man with a round face and hesitant smile. A thin necklace ringed his neck, and one of his shoulders was draped in traditional, wine-colored robes. Beyond the picture, there was little to see in the garage: a few scuffed cars were visible near the entrance, but mostly, as the ramp curled right, there was blackness. The garage was closed for business. Read Naomi Klein on whether Super Storm Sandy will push us to change our relationship to the natural world: A People's Shock?